DESCRIPTION: The author has written concise text in introduction and caption for what is an impressive photo essay covering the life and reign of Elizabeth II up to the Diamond Jubilee year. Over 300 b&w and full colour photographs taken across nine decades provide a synopsis of a hectic schedule of public service. For any individual to successfully hold a job for 60 years is remarkable, but the career of Elizabeth II began at birth in one of the few jobs that require training from the earliest age. To achieve her Diamond Jubilee and hold an approvals rating that any President would kill for is all the more remarkable. The most outstanding feature is that this has not been 60 years of peace, tranquillity and comfort, but one of the most turbulent periods in history. In one form or another it has been a continuous period of war, when British Forces have been engaged on occasion in several wars at the same time. As a Monarch who has taken her duties as Head of the Armed Forces seriously, this has added further to the potential stress of the job. In addition to serving as British Head of State, Elizabeth II has served as Head of the Commonwealth and Head of State for many Commonwealth Countries. That she has contributed to the maintenance of this diverse global community would be a life achievement on its own. The Queen has navigated all of the challenges with great deftness and accumulated a vast store of experiences that are beyond those gained by politicians. On many occasions, she has demonstrated that she is more in touch with the people than those who claim to represent them. The period has been marked by great social change, rapid technology changes, and major re-alignments of international relationships. This book captures the joys and sorrows, the challenges and achievements that have marked an extraordinary public career that continues with a punishing schedule of engagements that would exhaust someone less than half the Queen’s years. This is a book that anyone who is interested in royalty, and there millions around the world, would wish to own. 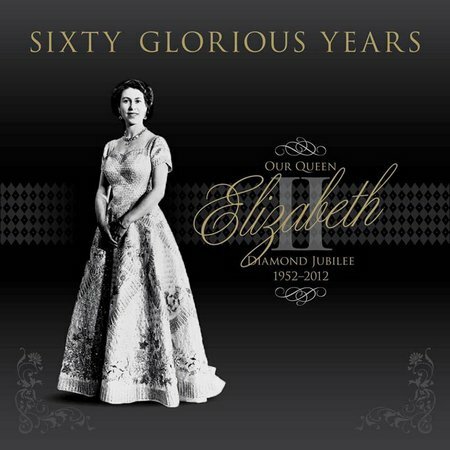 During 2012 there will be many Diamond Jubilee books and biographies, many pages of news print and extensive video footage, but it is hard to imagine any providing such an impress and concise coverage at a very affordable price.